Time Guard: The awakening is Anmol Batra's debut book that brings a spicy mix of mystery, thriller and suspense with a teleportation capable, time travelling hero to the readers. A woman receives mysterious envelopes to be opened at specific times with the sender knowing her future actions in advance, a doctor disappears from work and a Pakistani player set to participate in the Commonwealth Games is arrested. So many random incidents with normal people seemingly unconnected to each other are put forth by the author. You keep deliberating how they are connected and what is the mystery but you need to have patience because though the story starts slow, it soon picks up pace and the picture starts to get clearer. 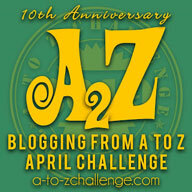 I enjoyed the novelty of the concept and the admirable way in which the author weaved his concept into a story. The book has everything from mystery to suspense to a superhero like protagonist to the blend of Hindu mythology in the story. The writing is lucid and crisp with beautiful sketches of the events thrown in to make the story more realistic. I enjoyed reading this book and am looking forward to reading the next book in the Time Guard series. The only point that I think needs improvement is the slow start. The story doesn't make sense as a whole until a few chapters with events seeming disconnected and rapidly changing locations with different characters. The readers will have to be patient and persevere for the first few chapters until the story starts connecting to give a clear picture. All in all, Time Guard: The Awakening is a promising debut by Anmol Batra that had me travelling places as the story progressed. I enjoyed reading this book that is so pleasantly different from the other books that I have recently read. Njkinny recommends this book to anyone and everyone looking for story that is engrossing, entertaining and a whole lot different from the usual books in the market. 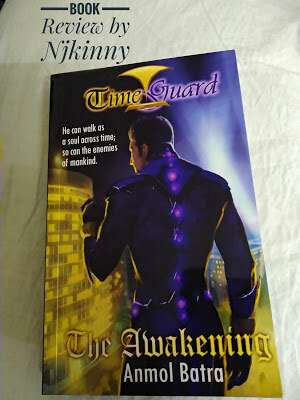 4 stars out of 5 to Time Guard: The Awakening by Anmol Batra and I look forward to reading more from the author in the future. I received a copy of the book from the author and I am very thankful to him. The above is my honest and unbiased opinion that is in no way influenced.